Sputnik: US Secretary of State Mike Pompeo issued the warning of visa restrictions on individuals linked to the ICC's prospective investigation into alleged crimes committed by US personnel in Afghanistan. What is the background for Mr Pompeo's tone, do you believe? Dr Angelo Dube: The background of the story is that the US has been active in Afghanistan, they have troops on the ground. And from that conflict in Afghanistan, from around 2002 up to now, there have been complaints about violations of human rights and violations of the law of war. Now, involved in that conflict are troops from America, as well as CIA operatives, as well as private military companies, which are providing security in that area. It is that background that Mr Pompeo made the statements, which are quite unfortunate for international law to tell the truth. Sputnik: The move is broadly viewed as an attempt to impede justice for alleged victims of the American troops in Afghanistan. How can the ICC proceed with its investigation? Dr Angelo Dube: The signals come after the ICC prosecutor, after the court in 2017 authorised to embark on an investigation of the crimes that allegedly took place in Afghanistan. Now, obviously, the US is not happy about that. The International Criminal Court has international law on its side, it is acting within international law. The US seems to think that American consent is required before American troops can be prosecuted. However, this is not the case in international law. The fact that the crimes took place on the territory of a third party to the ICC, the third party being Afghanistan, means there is no need for America to consent to anything. As long as American troops commit crimes on the territory of a third party, the court will have jurisdiction over those Americans troops. Sputnik: Back in September 2018, National Security Advisor John Bolton threatened sanctions and criminal prosecution against ICC officials in a speech to the Federalist Society. Can this move further isolate the United States and make it harder for the US to achieve its objectives? It really is just putting out a statement that "what is good for the people is not really good for us. There is one rule for them and one rule for us" — that just cannot be allowed to happen, can it? Dr Angelo Dube: The statements by Bolton are actually very, very unfortunate because, you are right it paints the picture that international criminal justice as it stands today is only good for other people, but not for the Americans. Surely, what is good for the rest of the world should be good for Americans. It is an unfortunate statement. It is going to negatively impact international criminal justice. It is going to allow impunity to continue because it will render institutions such as ICC to look illegitimate in the eyes of the people. In fact, the statements by the US do not align with its obligations under international law. What Bolton said last year, he tried to shock the world. It may or it may not, given the way in which the United Nations Security Council works at the moment. The US has more power than most of the other members of the UN, unless we reform the UN, we will continue to have the United States that comes out and issues such statements — which are very unfortunate. 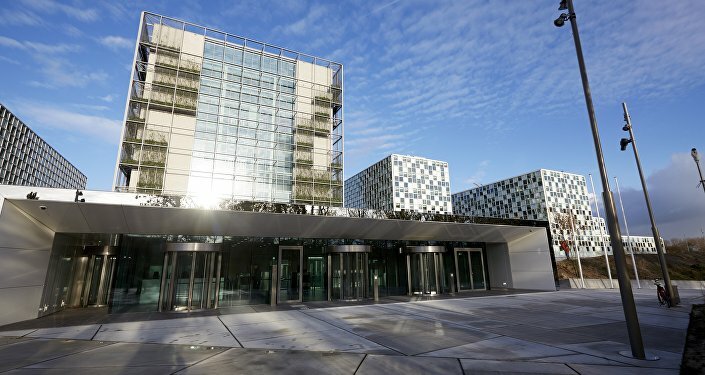 Sputnik: What consequences should we expect if Washington continues to interfere in the work of international judicial actors such as the ICC? I mean the United States has always portrayed itself as the policeman of the world. The geopolitical theatre that we are living in can't allow this kind of strategy and constitution being implied by the US with regard to these very important War Tribunal Judiciary Committee meetings, surely? Dr Angelo Dube: It should not be allowed, surely. It's setting back all the good strides that have been made in international law to try and hold those accountable and to bring them to book. What one picks up from Mike Pompeo's statements was that America still wants to sell to the world the idea that they are an upstanding nation and that they are against violating the rule of law, they are against impunity. Yet they are the one perpetrating violations of the rule of law. To look at Pompeo's statement, he says that they would block the visas of people who help the ICC. And Bolton said they will arrest judges at the ICC. Now, over and above that, Pompeo says that they will use foreign aid as well. Foreign aid is a very critical tool in world politics. The US will do what it has done now and it will go ahead and force other states to align with it on the threat of withdrawal of foreign aid. So that will prevent the US from being isolated, because they will buy support from other states through the intervention of foreign aid. Now, what this does is that it erodes the legitimacy of the international courts, such as the ICC. It can allow impunity to thrive. People will commit crimes against humanity, genocide and so forth, knowing fully well that they cannot be prosecuted because the US has allowed this institution to fall apart. So these institutions will eventually collapse. The only solution we could have is, I think from my perspective, would be a call for the reform of the UN system to allow for greater participation on an equal footing by all members of the UN in order to call institutions, states such as the US to order whenever they skip the line, as they have done recently.